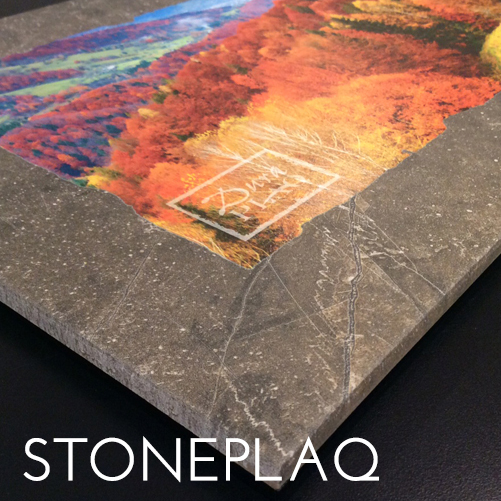 StonePlaqs are natural compliments to any image and decor! Available in four stone species and three approximate sizes, 12” x 12”, 12” x 24”, and 18” x 18”, they are the perfect medium to present a boldly unique display for your artwork! 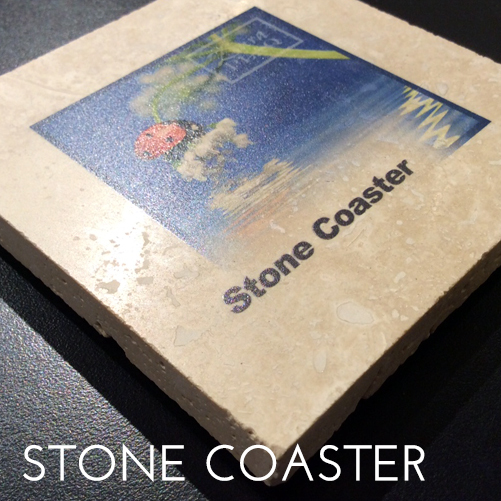 Make a splash with our water-resistant, natural stone coasters are water resistant and rated for use indoors and out! Measuring 4” x 4” x 3/8”, our stone coasters are the perfect accessory for your table decor! © 2018 Copyright DuraPlaq®. All rights reserved. Questions? Call us today at (970) 381-3421 or toll free at (800) 991-7527.